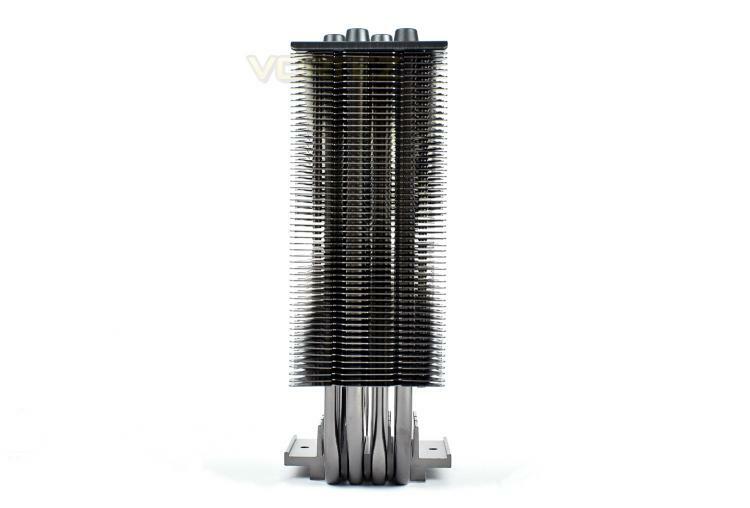 Just like the non-RGB version, the cooling tower measure 159mm tall and packs in 55 cooling fins. The last fin, at the bottom, is 39mm from the base, which should leave plenty of room for all but the tallest of RAM modules. 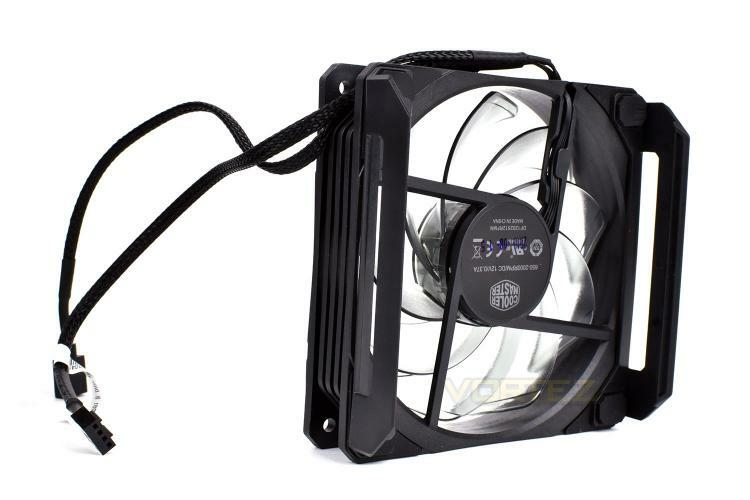 Measuring just 50mm wide, without the SF120R fan installed, the cooler is quite slender. The symmetric design allows you to install the included fan on either side, in a push or pull configuration, if you’re stuck for space for whatever reason. 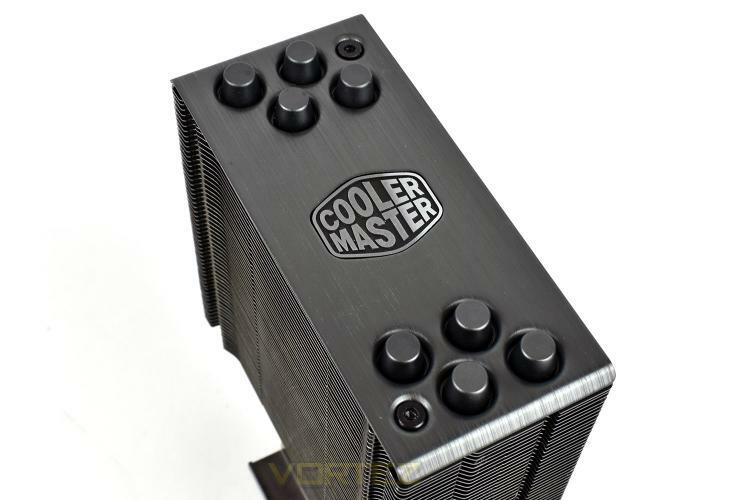 Sitting atop the cooler, capping things off nicely, is an anodized and brushed aluminium piece with the Cooler Master logo sitting proudly in the centre. Everything seems pretty familiar so far, but moving onto the SF120R cooling fan, things change considerably. Instead of the chunky 5 blade affair, we get 9 slimmer fins to force air through the radiator. The blades are also made up of a translucent plastic with a slight dark tint to it, fitting in with the Black Edition name, we suppose. Thanks to the translucent plastic, it’s even possible to see the four copper brushes in the fan’s motor. 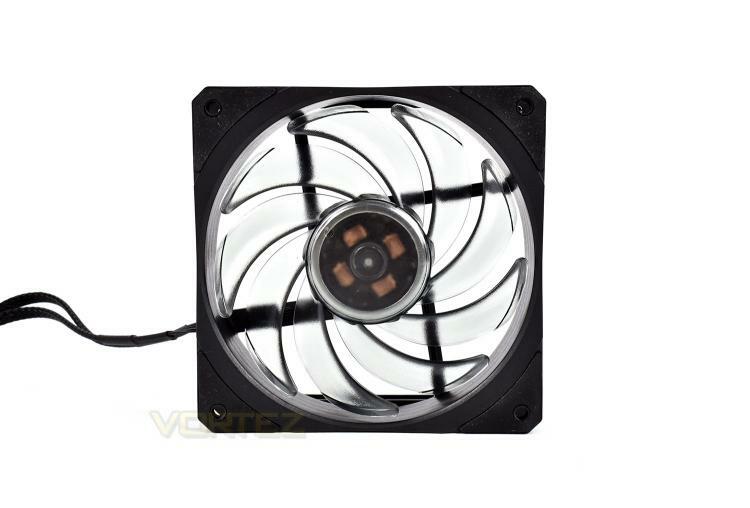 Each corner of the fan, front and back, is rubber tipped to prevent vibrations travelling more than they have to. Look at the fan from the other side, the mounting brackets are pre-attached. These are awash with rubber mountings to reduce vibrations. 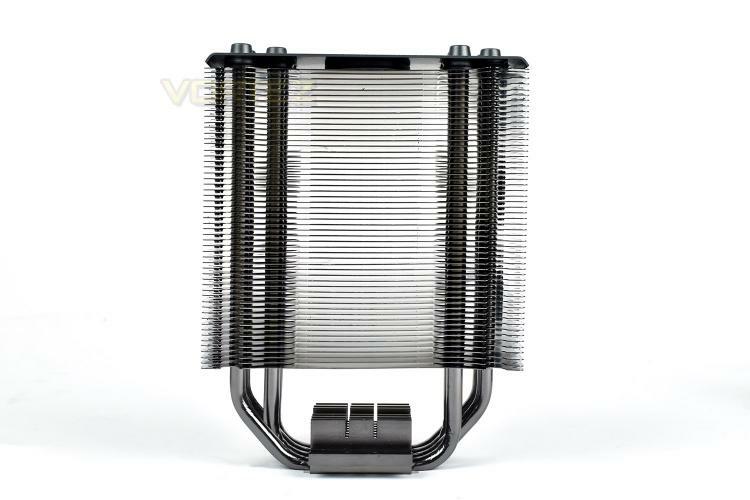 The non-RGB version doesn’t use this method, instead using metal spring-type pieces to hold the fan in place.